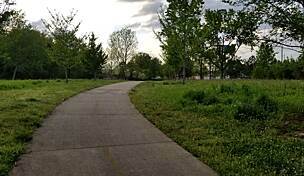 The Akers Mill Trail is the brainchild of the Cumberland Community Improvement District. The are two as yet disconnected segments of the trail, the east and the western segments. 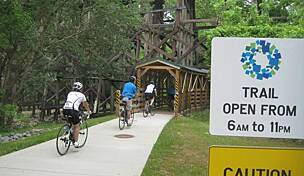 Although the Akers Mill East Trail is relatively short at 1.2 miles long, it is a strategic connector to the 25 miles of trails within the Cumberland area. 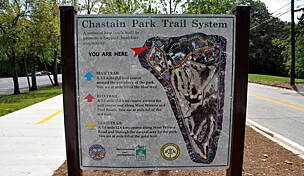 The trail’s northern endpoint is the Cochran Shoals Unit of the popular Chattahoochee National Recreation Area. From there it crosses underneath I-285 and begins to parallel Powers Ferry Road southwest. 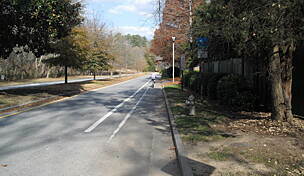 Powers Ferry Road then ducks left under 285, but the trail itself continues straight, although there is a connection under the Interstate to another trail, the Interstate North Trail. 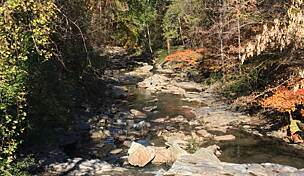 From this point on, the trail follows Akers Mill Road until Rottenwood Creek, where it meets Rottenwood Creek Trail (also known as the Bob Callan Trail), a picturesque riverine pathway that is worth continuing on. 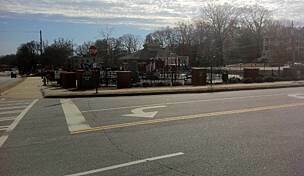 The other segment, called the Akers Mill West Trail, travels through the heart of the vibrant commercial district, connecting workers and visitors to the local amenities including the Cobb Energy Performing Arts Center, Cumberland Mall, Cobb Galleria and countless other businesses of every stripe. 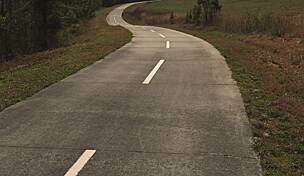 Akers Mill Central Trail is the name of the planned connection over I-75 between the two segments and will allow low-stress non-motorized commuting between the central business district and the major residential neighborhoods near the eastern segment.